Fenway Health Joins Delegation to Increase National Health Center Funding | Fenway Health: Health Care Is A Right, Not A Privilege. Fenway Health Joins Delegation to Increase National Health Center Funding | Fenway Health: Health Care Is A Right, Not A Privilege. Fenway Health Joins Delegation to Increase National Health Center Funding – Fenway Health: Health Care Is A Right, Not A Privilege. 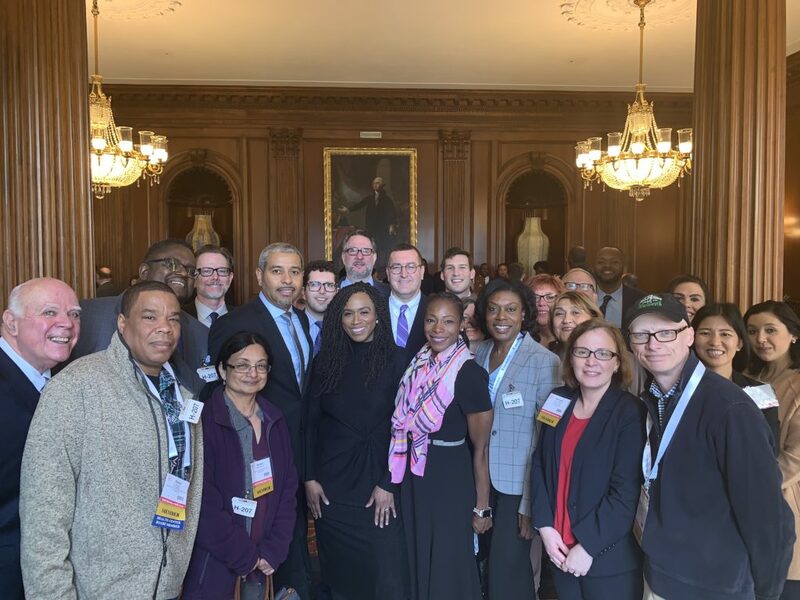 Fenway Health staff met with Congresswoman Ayanna Pressley on March 28 as part of a delegation from the Massachusetts League of Community Health Centers. The delegation is working to advance critical health center funding and workforce training priorities on Capitol Hill. Fenway Vice President for Government and Community Relations Carl Sciortino also participated in the meeting. During the day, Fenway staff met with members of the Massachusetts Congressional delegation and other key staff members to discuss the importance of continued health center funding as part of the National Association of Community Health Centers’ Policy & Issues Forum. The 1,400 community health centers across the United States provide care to 28 million Americans each year, and are vital to the health and wellness of their communities.